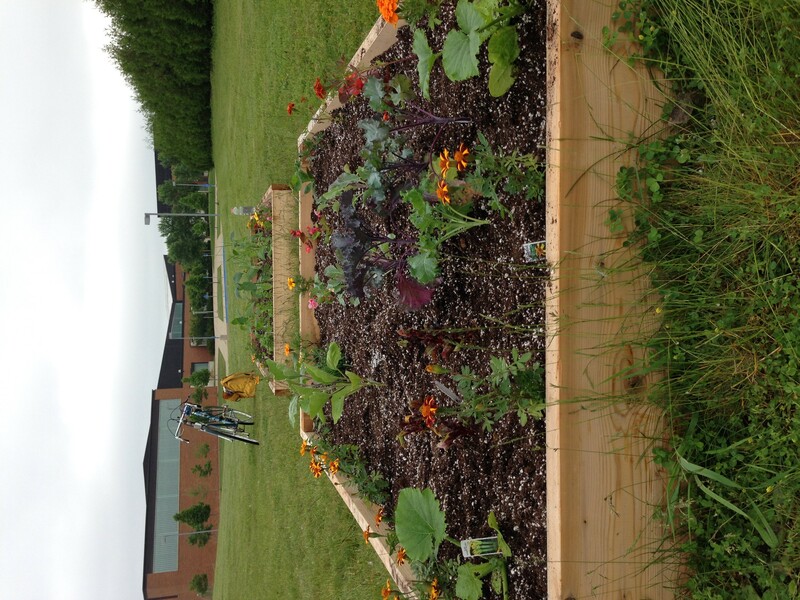 The Northfield Middle School edible garden has officially been built, with the generous support and funding from Kitchen Garden Laboratory! 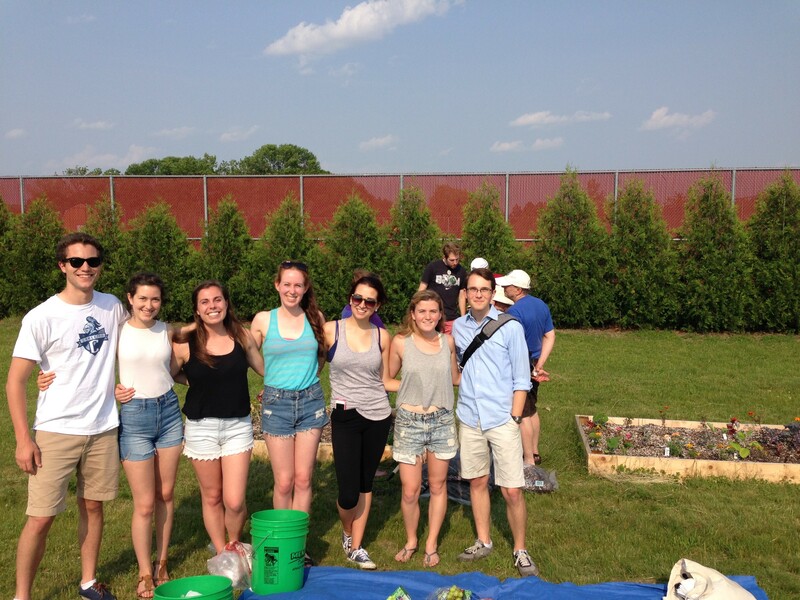 Sitting beside the tennis courts at the school are two 4’ x 8’ raised beds filled with freshly planted veggies. In these beds, we are growing everything from chives to zucchini to eggplant.To celebrate the planting and get excited for the summer, we hosted a Garden Kickoff this past Monday. With Carleton students, faculty and community members in attendance, this was a wonderful gathering. Together, we shared our excitement for the garden, finished some mulching and enjoyed a few snacks. 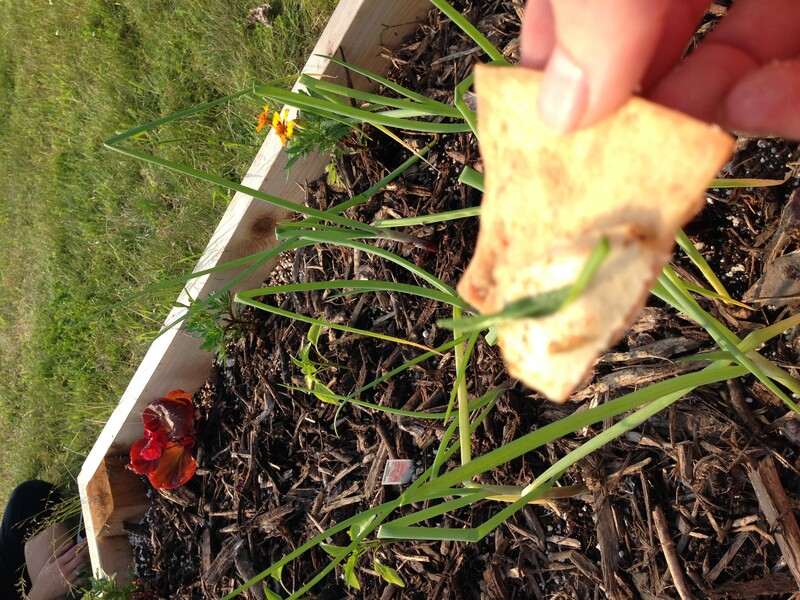 Some people even spruced up their pita and hummus with fresh herbs from the garden—what we like to call, our ‘first harvest’. Thanks to all who came! 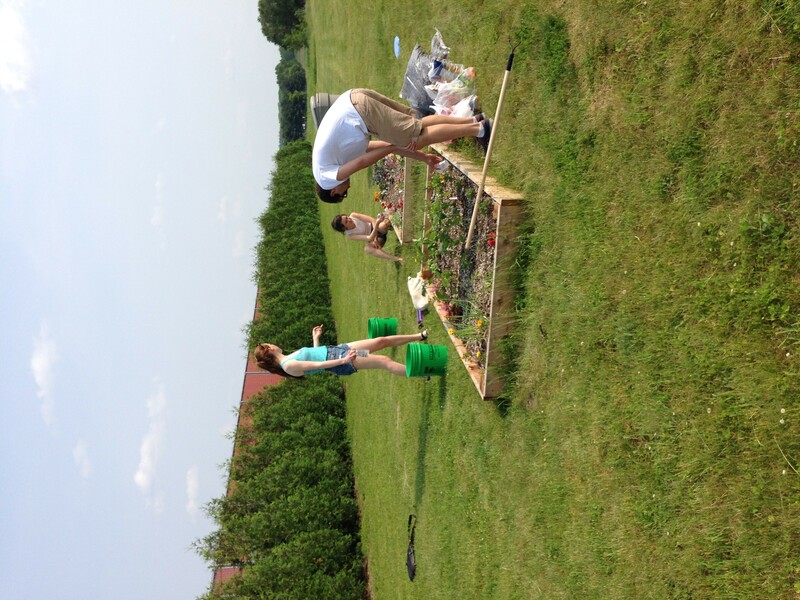 This summer, the garden will be used in the Northfield Middle School program, Summer Blast. 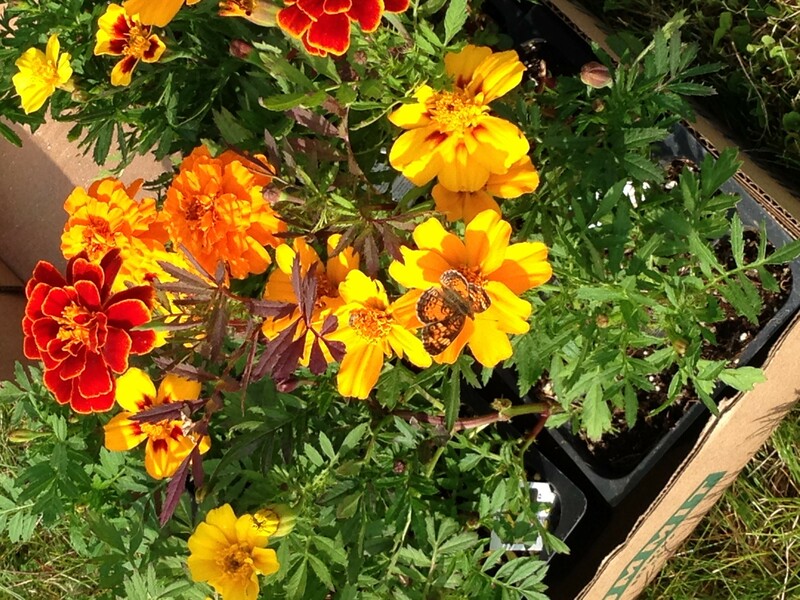 7th and 8th graders will have the opportunity to help take care of the garden and enjoy the produce. 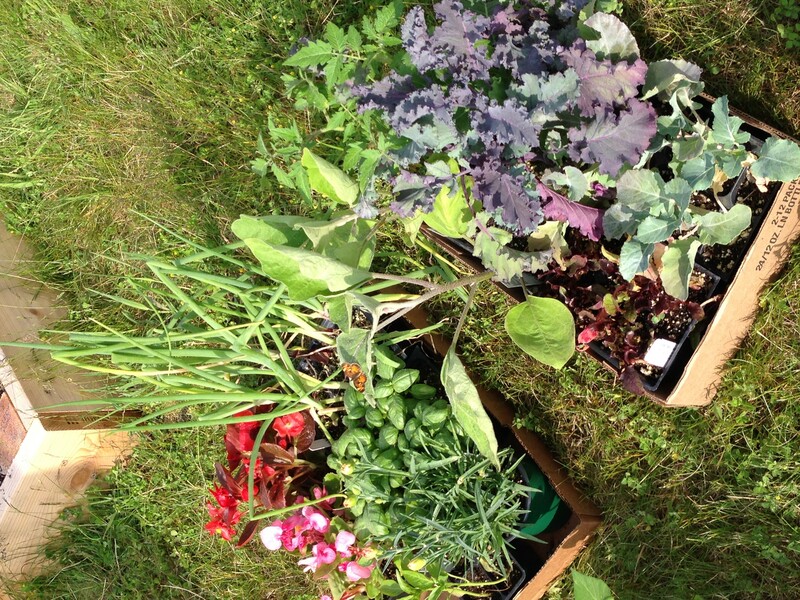 We look forward to a summer of gardening and will keep you updated on how it goes!